Join the auction LIVE from your home or office! You can see live video of the auctioneer and will be able to bid in real time. Simulcast Motor Vehicle Auctions start at 12noon every Friday. The catalogue is available Friday morning. Simulcast Truck and Plant Auctions are held bi-monthly. Sedans, Wagons, Hatches, Utes, Vans, SUVs, 4x4, Light Commercials including budget priced vehicles. All vehicles have reserves. Dealers Note: All vehicles sold $500 and under are sold "as-is where-is" with no cancellations and no returns. Please register here to obtain a bidder's number. As soon as you register you will receive an email with your bidder number. 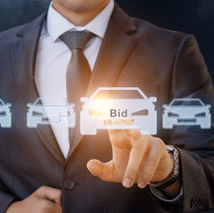 If you are a Motor Dealer and already registered with other auctions using the BidsOnline Simulcast Software, you can use the same bidder number to bid at Valley Motor Auctions. The bidding screen automatically scales to a pc, a mobile or a tablet. No special apps or downloads required. If you use a pc you should use the Chrome browser as Microsoft Edge does not yet support the latest video streaming software we use. - Allow access to port 843 - Flash security check. If you intend to bid via Simulcast, please contact our Sales Team on 02 4956 2111 for a full description of the vehicles you are interested in. Motor Dealers please call your VMA Representative for vehicle details. We are happy to provide vehicle descriptions for all bidders on the day before and the morning of the auction. All auction prices, deposits, buyer's premiums, administration fees and payments are in Australian Dollars. 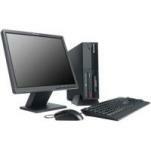 When you logon to our auction you will be asked to enter your credit card details. We take a pre-authorisation of $500 on your credit card, no money is withdrawn. If you successfully bid on a vehicle we will charge $500 from your credit card as the deposit . If you do not buy a vehicle then the authorisation of $500 will lapse in 3-5 business days (lapse time depends upon your credit card provider). Your deposit is forfeited if you do not pay the balance of your vehicle purchase. Credit card details once entered are passed direct to our credit card provider system using 128SSL Technology. Credit card details are not stored on our web site. Some late model Motor Vehicles may still have the balance of New Car Warranty. Please confirm with the vehicle manufacturer prior to auction. After market third party warranties are available for purchase from Valley Motor Auctions on most vehicles up until the delivery of a vehicle. No statutory warranty applies to any vehicle sold by Valley Motor Auctions via auction. All vehicles at Valley Motor Auctions and which have been prepared for display prior to sale are affixed with a Form 11 as is regulated by the Motor Dealers and Repairers act of 2013. When sold at auction all vehicles are sold under the auspices that form, and as such there no statutory warranty applies to any vehicle sold by Valley Motor Auctions via auction including simulcast auctions. For further information as to the rights of the purchaser and the obligations of the auctioneer pursuant to this form a purchaser may either attend Valley Motor Auctions’ premises and view the document attached to the vehicle they may wish to bid upon or request that a member of staff fax or email a copy of the Form 11 to them. If you buy a vehicle at our auction and it is registered you will receive a Safety Inspection Report. If the vehicle has been registered within the last month you do not need a Safety Inspection Report. To transfer the registration into your name you will need to take the invoice/receipt as proof of purchase plus the Safety Inspection Report (if applicable) to the RMS. At the RMS you must complete a Transfer of Registration form and pay stamp duty and transfer fees within 14 days of purchase. If you buy a vehicle at our auction and it is unregistered, you need to take the vehicle to an Authorised Unregistered Vehicle Inspection Station (AUVIS) to have an Identification Check & Safety Inspection Report (Blue Slip) conducted. Ring the RMS on 13 22 13 for your nearest AUVIS. To transfer the registration into your name you will need to take the invoice/receipt as proof of purchase plus the Blue Slip to the RMS. At the RMS you must complete an Application for Registration form and pay stamp duty, transfer fees and registration within 14 days of purchase. Please be aware that rules and regulations regarding registration may vary between states and that Valley Motor Auctions is not responsible for interstate registration transfer. Contact your state transfer office for further information regarding registration transfer. VMA ensures the Vendor of each vehicle has good title and the proper authority to sell each vehicle sold at our auction. Some vehicles may have an Interest registered (encumbrance) on the Personal Property Securities Register (PPSR) because some consignment vehicles may have finance owing and the finance company will not release their encumbrance on the car until they have been paid. Once you have paid for your car the funds are transferred to the finance company and the lien encumbrance will be lifted. Title to a Lot auctioned shall remain with the Vendor until the full purchase price and all other sums payable in respect of the Lot are paid in full, all cheques cleared, and the Lot removed. All our auctions are conducted inclusive of GST. You may from time to time hear the auctioneer announce that ‘No Tax Invoice’ or ‘No GST’. This means that a vehicle has been consigned from a private owner or charity. If you are bidding on behalf of a business you will not be able to claim the GST on these vehicles. The price you pay for your vehicle is your bid price plus a buyers premium and/or an admin fee. over $1500 - $220 Buyers Premium + $33 Processing Fee or as announced. Public: $660 Buyers Premium + $220 Admin Fee + $33 Processing Fee or as announced. Government, Ex-Government and Council Vehicles: $650 Buyers Premium + $33 Processing Fee. For Trucks, Plant and General Goods fees please refer to the auction header. All vehicles have a reserve unless the auctioneer announces that the car has no reserve. If you are the highest bidder and the auctioneer says ‘Submit’ or ‘Referred’ your bid is below reserve and we will then contact the owner of the vehicle. A representative from Valley Motor Auctions will contact you and negotiate a price on your behalf with the owner of the vehicle. If you verbally agree to purchase the car at a negotiated price we will charge your credit card with the deposit of $500. If you are the highest bidder and the auctioneer says ‘Sold’ then you have entered into a legally binding contract to purchase the vehicle. Your credit card will be charged with a deposit of $500 and you will receive an invoice by email for the balance of the vehicle. Please confirm the Buyers Premiums and Administration Fees before making payment. You must pay the balance within 48 hours by cash, EFT or bank cheque. Personal or company cheques are not accepted by Valley Motor Auctions. When you have successfully bid and paid a deposit, a VMA representative will contact you to organise a time for you to collect the vehicle. Unless otherwise stated, vehicles can be collected from our premises at 47 Munibung Road Cardiff (Newcastle) 2285. Can I have my vehicle delivered? Yes, provided that payment in full has been received. We have a fleet of our own trucks and we also use contractors. Please contact us on 02 4956 2111 to make an arrangement. Can I withdraw a bid. No, you cannot withdraw a bid. Please be careful when bidding on the internet. The streaming video and sound is approximately ½ second behind. This may be longer if you have a slow internet connection. Consequently if you bid based upon hearing the auctioneer’s voice the auctioneer may have already taken a bid from the floor. You should bid based upon the bidding button. There is no delay with the bid button. I can’t log in at the auction time, can I enter an absentee bid. Yes, logon and view the catalogue listing. Click on the lot and enter your maximum bid. The system will automatically bid on your behalf during the auction.